Today I am slowly making my way back to Peoria from San Diego. Yesterday we spent 8 hours in the car driving from Santa Cruz and today I will spend 11 hours on planes and in airports. Those of you that can’t afford flying direct everywhere you go will understand how time-consuming travel can be. I feel like I could have driven to Peoria faster! Anyone that has traveled through airports knows how difficult it can be to make healthy eating decisions. Everything is either very unhealthy or very expensive. The other problem is that you never know when you will have the chance to eat again. What, if anything, will be offered on the plane? What if my flight is delayed and I don’t have time to check out eating options during my layover? I’m not particularly hungry now but what if I get ravenous in the middle of my five airborne hours? I am a little ashamed to say that I completely forgot all of these rules this morning. I was in a big rush before I left the house so was forced to get breakfast to eat on the plane. Instead of grabbing a piece of fruit to stave off the hunger until my next layover, I chowed down a croissant with egg, cheese, and ham. On the plus side I felt like crap within ten minutes and remembered, as I have to every once in a while, that its better to be a little hungry than put that gluten, dairy, and processed meat into my system. 1. Try as hard as possible to pack some easy food in a Tupperware to bring on the plane. It can add bulk to your carry-on but it only gets smaller as your day goes on! Also, it’s so much cheaper. For example: chopped raw veggies, popcorn chips, raw nuts, a sandwich (I do Udi’s gluten-free bread with almond butter and natural jelly), and a couple of pieces of fruit. 2. If you can’t pack food and are in a big rush, grab a few quick, unprocessed (if possible) things from whatever places are available. Stagger them throughout your trip so you’re never too full and never really hungry. 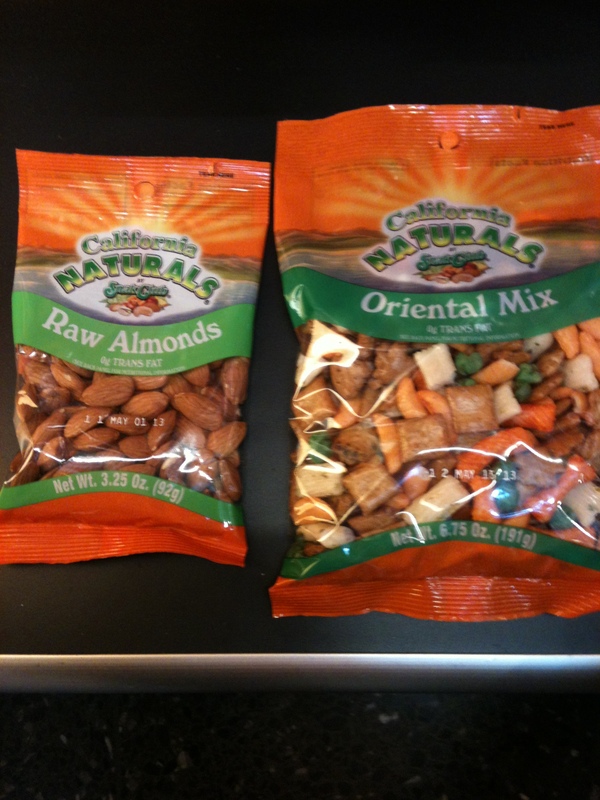 For example: a salad or veggie platter if you can afford it, raw almonds, popcorn chips, fruit, etc. The closer to raw, the better. ^ There is always a news stand to pick up some quick eats. ^ The lesser of the evils but they always come in huge packages! Make sure you eat them in small portions and just save some for home. 3. If you’re having a long day of travel and want to sit down for a meal, choose something green and leafy, or if you just aren’t in the mood for salad, make sure whatever you eat is not fried. Also include some protein in there. For example: greek salad with grilled chicken, burrito bowl (no tortilla), non-dairy based soup, a burger minus the bun (a lot of places will wrap in lettuce so you can still manhandle it). 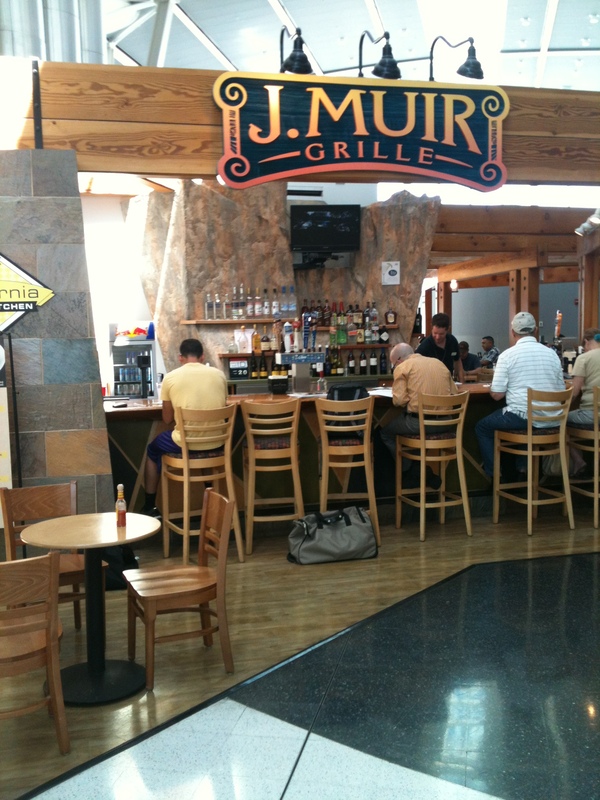 ^ A typical airport meal is often the same price as a few packaged goods from the news stand. It takes a lot of will power to do these things. With so many options for deliciously bad food and a great seat to sleep for multiple hours, it can be very tempting to chow down. But you will pay for it in more ways than just lethargy and its never really worth it. Being healthy feels so much better than food tastes. And I love food! Questions: How many of you have struggled with this recently? Did you succumb or hold out? How did you feel after? 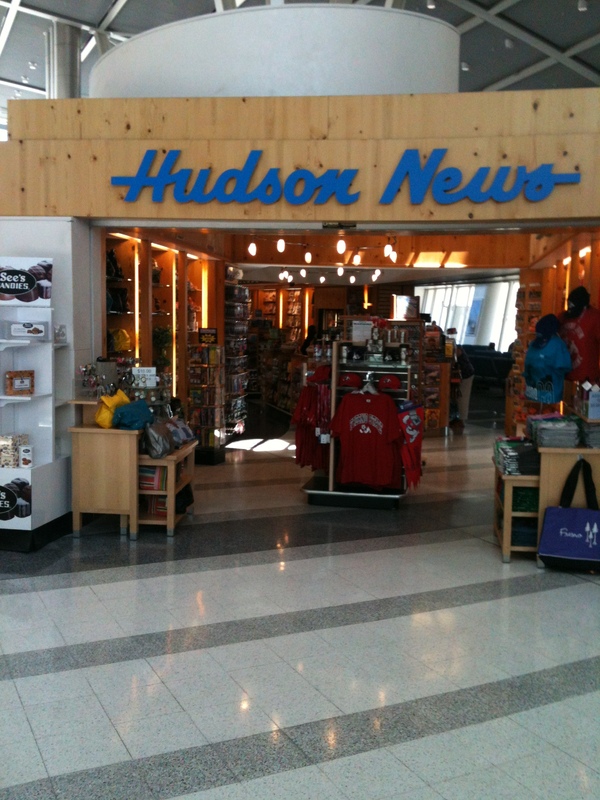 This entry was posted in Nutrition and tagged airport, cheap, food, health, travel on August 20, 2012 by ahappylass. The best airport food I had was actually at JFK. They had a burger joint where you could order right from a computer screen. Didn’t even have to talk to anyone. Burger was great. Nantucket and Martha’s Vineyard Airports have decent restaurants, but they aren’t really real airports. That sounds so awesome. Did they have all kinds of meat too? That would be my ultimate burger place, with turkey burgers and all that jazz.